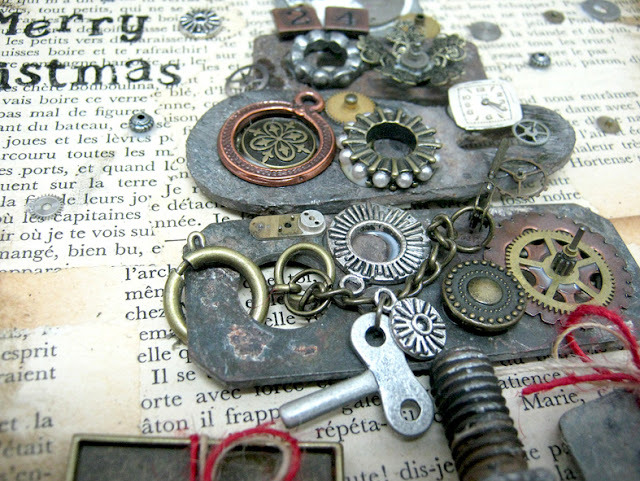 Creating steampunk images are a lot of fun. 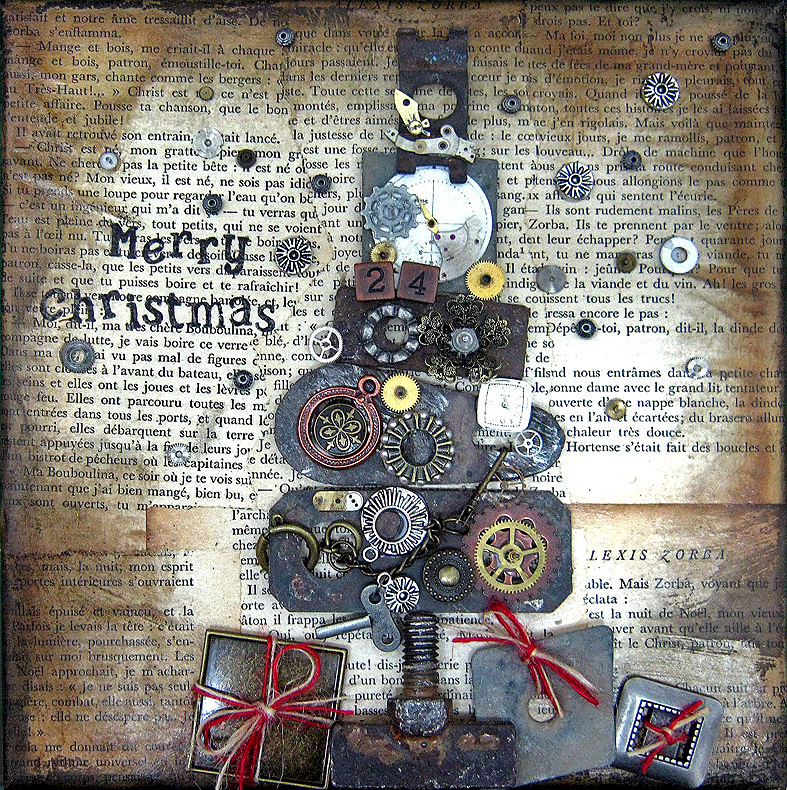 It's basically an easy idea where you create an image from metal embellishments, clock faces and cogwheels. It can be any image like a person or an abstract image. I think it's time to start thinking about Christmas so I created a steampunk Christmas tree. I used a 8x8 canvas and created the background from old book pages. I inked all the edges with brown and black distress inks. 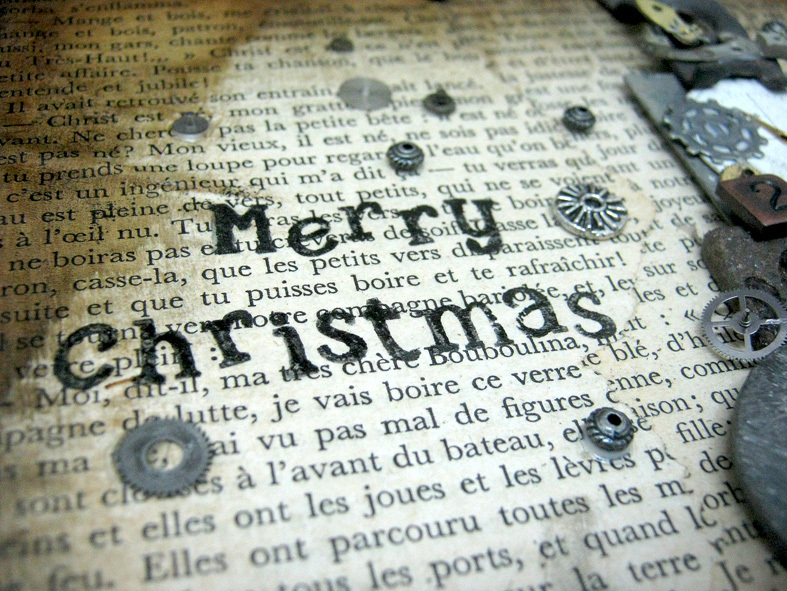 When it was dry I used large metal pieces to create the base of the tree and added smaller pieces as ornaments. 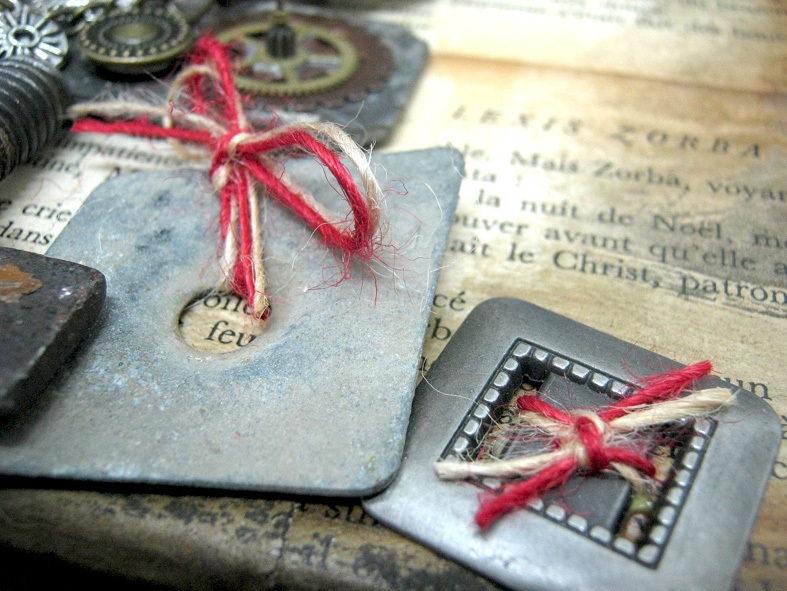 I also added metal squares with twine as gifts. I stamped Merry Christmas and added little metal beads as stars. 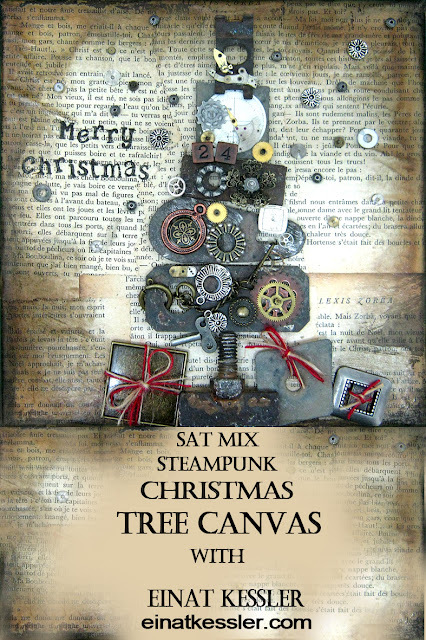 You can create the same tree with other style of embellishments if you don't want it to be in a steampunk style. The style and color of the embellishments you use will determine the mood of the canvas. For example if you use blue and white paper and embellishments you will have a snowy canvas and if you use old Christmas embellishments or photos you will have a vintage scene. This can be a great gift or a decoration on your wall. Any way you'll create it this canvas will get you and everyone into the season spirit! 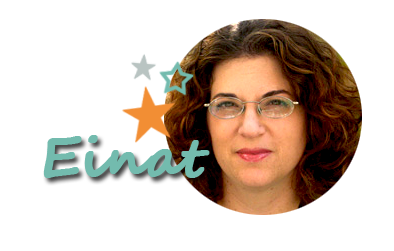 You can subscribe to the Einat Kessler creative newsletter and make sure you don't miss anything! משגע, עינת! הכל, ובמיוחד המתנות שפיזרת מתחת לעץ. כל כך יצירתי! Rustic style, Just the way I want. Have to collect this tree canvas DIY project.